MILWAUKEE, WI – The Harley-Davidson family of riders and fans has a promise for women affected by breast cancer: You’re not alone, because we ride with you. These riders and fans added extra horsepower to that promise by raising more than $1 million for organizations that support and empower women affected by breast cancer through the purchase of Harley-Davidson® Genuine MotorClothes® Pink Label Collection apparel and merchandise. 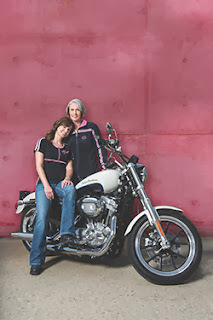 The financial support begins with the purchase of any H-D Pink Label item. Three percent of the suggested retail price of Pink Label merchandise is donated to organizations like the National Breast Cancer Foundation and Young Survivor Coalition that support women affected by breast cancer. Thanks to the generosity of Harley-Davidson motorcycle riders, fans and dealers, the Pink Label Collection generated more than $1 million for such organizations since its inception in 2010. And that’s just the beginning. For 2014, the new and expanded H-D Pink Label Collection includes 88 iconic items, each with the power to make a difference. Visit h-d.com/pinklabel to learn more. The new Limited Edition Pink Label Mandarin Collar Leather Jacket (P/N 97010-14VW, starting at $495) is made from lightweight cowhide leather and features the added elegance of contrasting piping and cowhide panels; domed stud accents; plus printed and embroidered highlights. Its zippered shoulder and back vents complement the power-stretch waist and pre-curved sleeves to deliver maximum comfort. Pockets at the elbows and shoulders accept accessory body armor for added protection. Available in XS – 3W sizes. Abbiamo chiuso da un paio di giorni le iscrizioni. Hanno risposto in tanti. 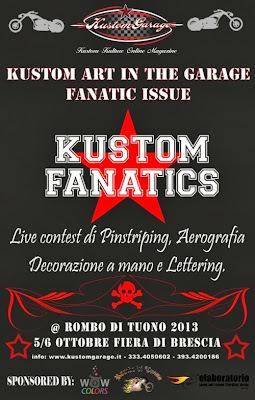 Saranno più di 10 gli artisti che si sfideranno a colpi di pennello ed aerografo durante il Kustom Art In The Garage Vol.6: Kustom Fanatics. 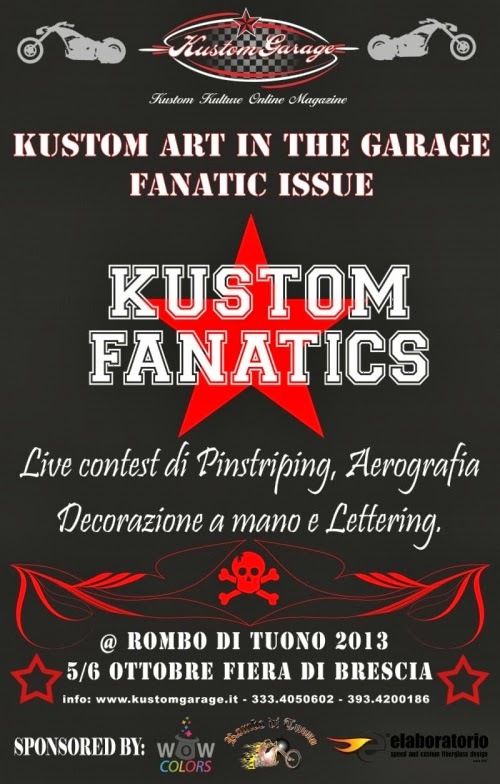 Il contest ufficiale di aerografia, pinstriping e decorazione organizzato da KustomGarage Magazine in collaborazione con l'intera organizzazione del Rombo di Tuono che quest'anno giunge alla 12° edizione. infine grazie a voi, spettatori, che nella giornata di sabato 5 e domenica 6 ottobre verrete a sbirciare i movimenti lesti dei pennelli e degli aerografi. Vi ricordiamo che le opere migliori saranno scelte da voi, pubblico, nella giornata di domenica e online mettendo un "Mi Piace"
all'opera migliore la cui foto verrà pubblicata sulla pagina Facebook ufficiale di KustomGarage Magazine. Vi aspettiamo sabato 5 e domenica 6 ottobre presso la fiera di Brescia.